The incident, which occurred on Monday some 800 meters away from the Neb Sarai police station was reported to police on Tuesday when the deceased's family informed them that Surjit Kashyap, 22, was missing. 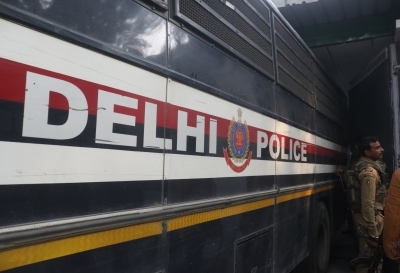 "The accused persons have been identified as Sombir Singhal, who works as a cab driver, Vicky Jha, who works as a helper in Max hospital, Satbir, and Vicky Bhatt, who works as a data entry operator. They are residents of the Devli and Ambedkar Nagar areas", Deputy Commissioner of Police Office (DCP) Vijay Kumar said. "They were arrested on Tuesday night with the help of local intelligence from Devli and Ambedkar Nagar areas", he said. "During interrogation, Sombir and Vicky Jha disclosed that they had an old enmity with Surjit Kashyap, where he had beaten them a few years back and the two were holding a grudge since then", the DCP added. They also alleged that Kashyap used to bully and threaten Sombir often. "Kashyap had on Monday again threatened Sombir while he was busy with his work in Sangam Vihar. Sombir felt insulted and planned to kill him", Kumar said. "As per the plan, Sombir along with his accomplices found Kashyap sitting with one friend in a farm house. They challenged him and finally murdered him by stabbing and strangulation. "They later disposed off his body in a shallow ditch and covered it with some leaves and other trash lying there," he said, adding that a hunt is on to nab the two other accomplices, Golu and Ravinder Bisht.